Chad VanGaalen often has the air of a musician who’d rather be left alone. Not to brood or to mope, but to reflect on the vagaries of his existence, as if searching for a clear pathway through the labyrinth that unravels between cradle and grave. Music, it just so happens, is the conduit that allows him to express the fruits of his contemplation; the one channel through which he can broadcast his fears and frustrations. To add a splash of context, the Canadian songwriter has form for introspection. VanGaalen’s previous offerings were punctuated by obsessions with the cornerstones of human existence, namely life and death. Not that the likes of Soft Airplane or Skelliconnection were despondent affairs - these were records rich in texture and homemade sounds, vying between rudimentary acoustic folk and cranky, synth perforated blurs – but an overarching sense of mortality certainly lingered. More recently, and perhaps more famously, VanGaalen pulled the production levers on Women’s acclaimed second album, Public Strain. Having guided the Calgary drone-pop outfit through their 2008 debut, last year’s follow up was as much about the producer’s development as it was his protégées'. Sonically, VanGaalen’s nimble touch steered Public Strain with contrarian direction - it was dense yet airless, gritty yet soft, muddied yet absolutely transparent. Above all else, it was brilliantly executed. Buoyed, or at least intrigued, by the auditory success of Public Strain, VanGaalen mines similar techniques on his fourth solo album, Diaper Island. The electronic flushes and lo-fi sensibilities that characterised Soft Airplane have dissipated, replaced by a wider sonic lens that encompasses layers of delicately stacked guitar. 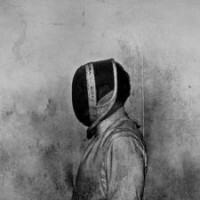 Coursing through the body of this 12 track collection is a loose, defined sparseness that paradoxically feels heavy and weighted. In other words, the sort of gravitational balance VanGaalen finds impossible to resist. Curtain raiser ‘Do Not Fear’ gives an immediate taste of this incongruity. Bound in slow-moving staccato chimes, the track rises into a haze of elated howls before relenting to the darkened, ravaged swell of splashing cymbals and menacing guitar. It sounds complex, but these two minutes are built on the meticulous transition of simple melody and rhythm, segueing from one tone to another with the ease of a 3am sleeper train padding its way through the countryside. It's a slick blueprint, and one that provides the backbone to Diaper Island’s many successes. Topically, VanGaalen treads familiar ground, showing no desire to step away from morbid subject matter. Yet the combination of threadbare instrumentation and expansive, town hall acoustics varnishes cuts like ‘No Panic/No Heat’ and ‘Wandering Spirits’ with a freshness that’s entirely attuned to their melancholic narratives. Stripped down and spectral, these numbers veer to the right side of singer-songwriter, pushing VanGaalen’s honeyed intonation into the spotlight – a position you suspect he’s far from comfortable in, but one he pulls off with graceful poise. At times, the lack of instrumental furniture finds VanGaalen gravitating towards his Sub Pop roots, thrashing wildly at the fretboard over a bed of hostile percussion. The results, however, are decidedly mixed. ‘Burning Photographs’ is a keen-heeled gallop fuelled by a hypnotic retrograde riff, while ‘Can You Believe It?’ is a thrilling lo-fi blast, of the kind you’d find blurting out from a dusty basement bar in the early Nineties. Yet, ‘Freedom For A Policeman’ is the polar opposite: a tired throwback of buzzing guitar and slinking synth that has VanGaalen trotting out pseudo-political sloganeering as if he was draped in tie-dye. 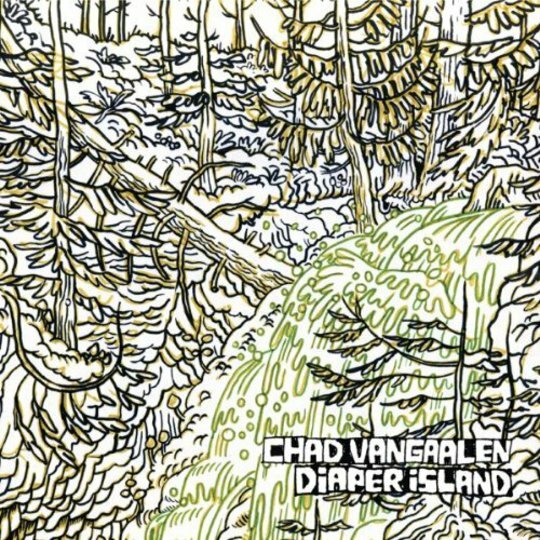 Despite the occasional misfire, Diaper Island scales some giddy peaks - particularly when VanGaalen is at his most sombre, both lyrically and musically. ‘Peace on the Rise’ is a Grizzly Bear-esque slab of psch-pop that shimmers to crisp guitar strains on either side of a trumpet-addled mid-song washout. 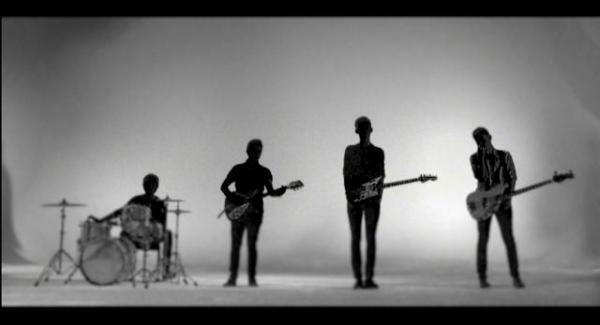 The two-track run of ‘Heavy Stones’ and ‘Sara’ is even more fruitful. The former is a stone-dead heartbreaker sloshing around on a wave of gauzy twangs and tear-duct moistening harmonica; the latter emits a gorgeous acoustic refrain that hits the sort of heady emotive heights reached by the The Shins and, to a degree, Fleet Foxes. For a record so intentionally bare, Diaper Island is clogged with innovation and ideas. VanGaalen’s appreciation of space permeates every crevice; each track breathes through a meandering, sometimes fraught, passageway carefully massaged by its creator’s attentive hands. Sure, there are imperfections along the way, but this is an immeasurably intriguing and constantly developing journey that’s best experienced alone. Given his own preference for solitude, you suspect that’s exactly how Chad VanGaalen intended it.